Greg Hyslop, senior vice president of engineering, test and technology at Boeing (NYSE: BA), has been appointed to also serve as chief technology officer of the company. He will succeed the retiring John Tracy, CTO for 10 years and a 35-year company veteran, and continue to report to Dennis Muilenburg, Boeing chairman, president and CEO, the company said Monday. Muilenburg said Hyslop aims to combine his technology leadership and business skills to help Boeing retain its global status as a technology firm. Hyslop is currently responsible for the company’s development and implementation of enterprise technology, investment strategy, research and technology, test and evaluation and engineering activities. Prior to his current role, he served as VP and general manager of the research and technology division and previously held similar roles within the strategic missile and defense systems business from 2009 to 2013. 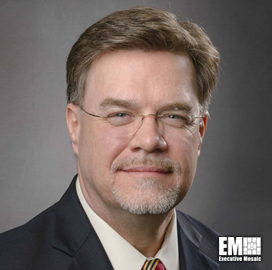 He began his career with Boeing in 1982 as a guidance and control systems engineer on missile programs. He is also a member of the NASA Advisory Council’s aeronautics committee.